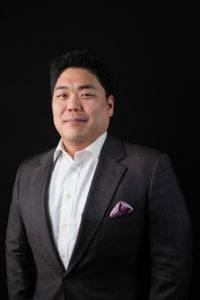 Howard Moon is a Managing Director for the Mastiff Group. He brings more than 15 years of experience and expertise in backoffice operations, including Information Technology and Payroll Administration. His current role includes accounting services, HR/training, Information Technology, and day-to-day business operations for the Mastiff Group. Howard has over 14 years of experience in the operations field, coming to the Mastiff Group after overseeing global operations for a private jet charter company in New York. Prior to that, Howard worked within the staffing services industry where he was responsible for the day-to-day operations for PSS, Inc., which spanned staffing operations in three states and employed over 500 temporary and contract personnel on a daily basis. Howard was responsible for PSS’s internal IT infrastructure, payroll operations, contracts management, and deployment of services nationwide. Howard attended Cornell University, where he majored in Psychology; he currently resides in New York City, where he was born and raised.